Pete and the rest of the gang on stage had a blast singing Woody's amazingly catchy song together along with most of the audience! For those interested, here's the lineup from the left﻿ to right: Ray Korona, Joel Landy, Roland Mousaa, Mary Poppiins, Caitlin OHeneey, Pete Seeger, Nancy Callahan, Steve Suffet, Anne Price. Thanks to EcoFest NYC for the great environmental festival which included this performance! Born Stephen Lawrence Suffet in 1947, Steve Suffet is best described as an old fashioned folk singer in the People's Music tradition. His repertoire is a mixture of railroad songs, trucker songs, union songs, old time country music, blues, ragtime, Gospel, topical-political songs, and whatever else tickles his fancy. He takes songs from whatever sources he wishes and then he sings them his own way, maybe rewriting the lyrics on the spot or changing the music to fit his own particular style. Heavily involved in the antiwar movement in the 1960s, Steve appeared at several of the legendary Broadside magazine hoots in New York City. 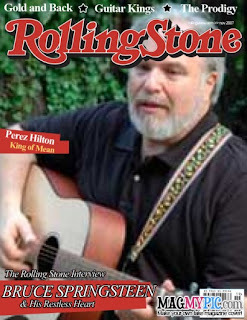 Steve later left the organized folk scene for nearly thirty years, playing instead at political rallies and demonstrations, campgrounds, schools, day care centers, weddings, parks, pubs, and pick-up jam sessions.Steve performed in Dani's beer bar in Ein Hod in 2007.